The Michael Ruane Judicial Center sits adjacent to Salem’s historic Probate and Family Court building, creating a campus of courts in the historic New England town. 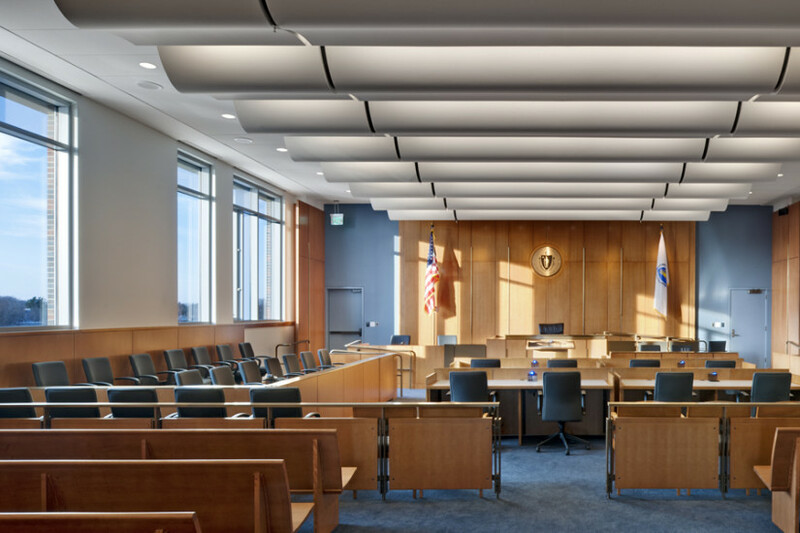 The project relocated the Essex County Superior Court, the Salem District Court, the Essex County Juvenile Court and the Northeast Housing Court, and it added nine courtrooms along with offices and a law library. The U.S. Green Building Council awarded the facility a Leadership in Energy and Environmental Design (LEED) Gold certification. Shen Milsom & Wilke’s security consultants designed a variety of systems: emergency intercommunication; closed-circuit television with local-and wide-area network integration; consoles; a perimeter intrusion alarm; building security; a duress alarm; cell door monitoring; access control; and personnel screening. We also integrated a temporary detention holding facility with electronic locking hardware. Remote holding cells were placed at various locations throughout the courthouse.